Why Eat Wedding Cake One Year Later? Traditional African wedding cakes vary by region. 2 Why Eat Wedding Cake One Year Later? When thinking of traditional wedding cake, thoughts quickly move to a confectionery treat draped in white frosting. This is the European version of a wedding cake. The continent of Africa has been influenced by many cultures. The idea of a traditional wedding cake depends on what area of Africa you are in and the vision of the couple getting married. 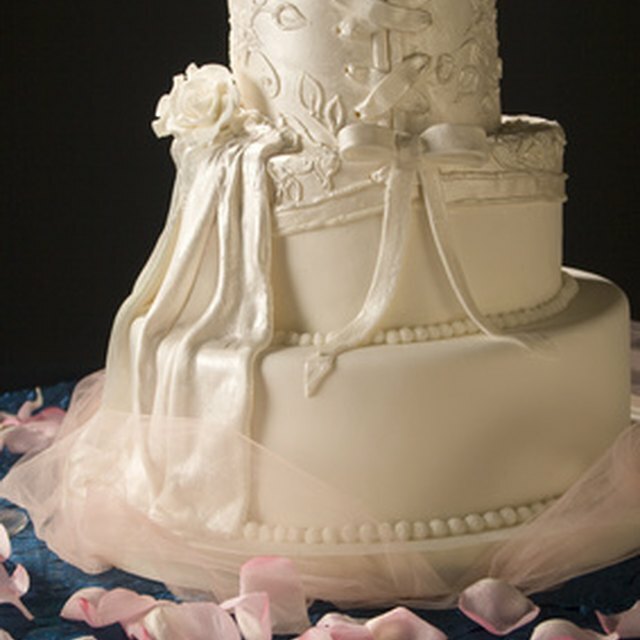 Romans introduced the concept of wedding cake. The groom consumed half a barley loaf and broke the remainder over the head of his new bride. In medieval England, a pile of sweetbreads was placed in front of the wedding couple rather than a formal cake. What we recognize as modern wedding cakes began to take shape during the Victorian era. The white cake symbolized the bride's purity. African wedding cakes have embraced separate influences. More than 1,000 different cultures reside in Africa. This diversity has helped to shape the landscape that forms African traditions. Islamic, Christian and Judaic religions intermingle with traditional tribal beliefs to create unique religious wedding traditions in Africa. Africans, Afrikaans and Europeans have inter-meshed various cultural aspects that ensure no African wedding will look the same. This includes the wedding cake. The cuisine of Africa is just as varied as the people of the country. For traditional marriage ceremonies in Africa, iced fruit cake is a common option for a wedding cake choice. Another popular cake choice is chocolate sponge with elaborate flowers made from icing. Both cakes feature figurines of the couple placed on top. Afrikaans feature something similar to a doughnut called Koeksusters, or Sisters Cake, at their wedding receptions. The French slant on wedding cake involves individual iced puff pastries formed into a elaborate mountain called Croquenbouche. 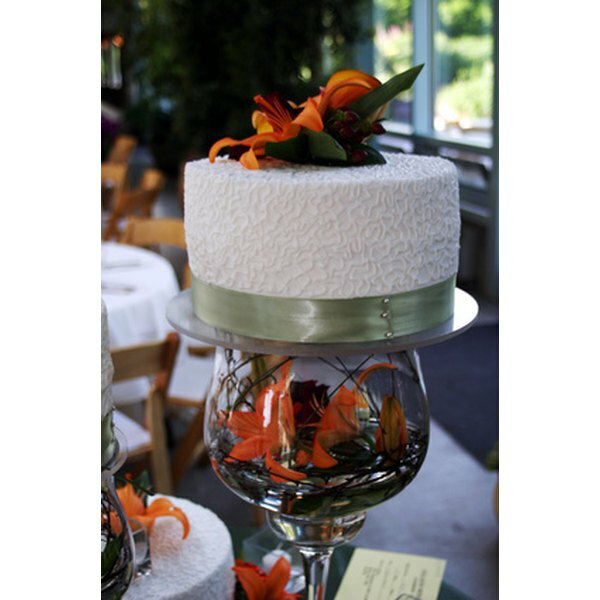 Like European wedding cakes, African wedding cakes symbolize the sweet life that lies ahead for the newlywed couple. Cutting the cake together symbolizes the joining together of their lives. This stems from the cake being harder to cut as tiers were added to the cake structure. Feeding each other symbolizes the couple nurturing each other . Sharing cake pieces among the guests allows them to share in the good fortune that lays ahead. Purchase your own traditional African wedding cake. Online companies exist that specialize in traditional African wedding cakes. Wedding planning companies assist in creating traditional African ceremonies and receptions. African influenced wedding cakes may seem unique and somewhat different in appearance from Europe's version of the white wedding cake, but they taste no different and add a special flair to wedding receptions. Find recipes online detailing how to create traditional cakes at home for your celebration.